Nottingham Lakeside Arts continues its 2018 exhibition programme with a solo exhibition of works by Rana Begum as part of an adapted tour from Sainsbury Centre for Visual Arts at University of East Anglia. Rana Begum: Space Light Colour will be an exhibition of works from one of the most exciting young artists working today. The exhibition at the Djanogly Gallery runs from Saturday 7 July to Sunday 30 September 2018, admission is free. Rana has already completed a number of remarkable public commissions including King’s Cross Cubitt Square in 2016, Sainsbury Centre for Visual Arts in 2017 and Tate St Ives this year. She is the recipient of the prestigious 2017 Abraaj Group Art Prize with her commission unveiled at Art Dubai on 14 March and is also taking part in an all-women group show at National Museum for Women in the Arts in Washington. 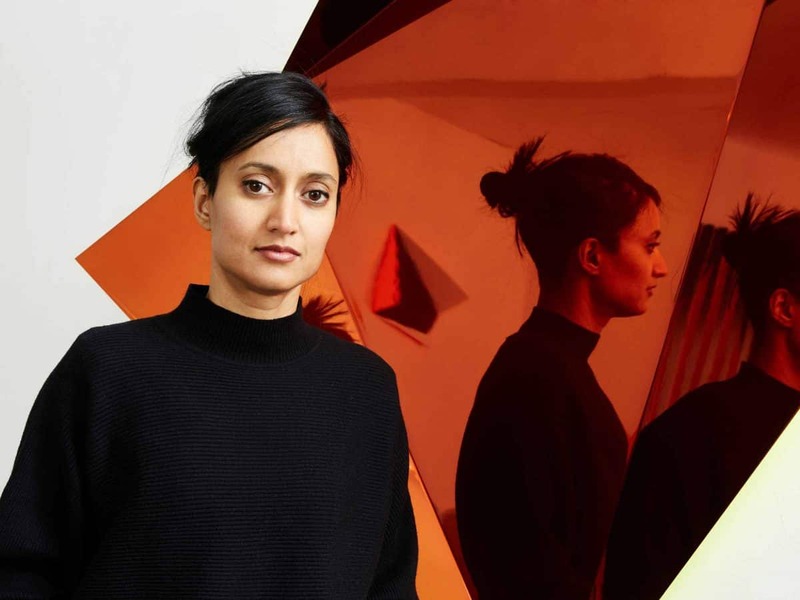 Rana Begum’s working practice has a transformative quality that engages with space, light and form, blurring the boundaries between sculpture, painting and architecture. Her work has a great affinity to the built environment and uses repetitive geometric patterns found within Islamic art and urban architecture. She imposes order and structure through the use of prefabricated components and pre-formed industrial materials, but transformed by the application of colour. The array of sensations –be it intentional or unexpected– evoked by these chromatic choices can optically change dramatically as the viewer moves through the space. Begum has produced for public commissions will also be on display, providing a remarkable insight into how her practice engages with ideas concerning community and place. The exhibition at the Djanogly Gallery runs from Saturday 7 July to Sunday 30 September 2018. Admission is free.